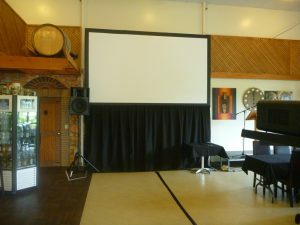 Rosebank is one of Christchurch’s finest conference and business function venues. Nestled on the outskirts of the city, only 6 km from the airport (on the N1 North, next to the Groynes Resort) it offers a unique combination of tranquil rural views and an easily reachable location. Ample free parking, great conference rooms and generous outdoor areas are available. The beautiful gardens and peaceful surroundings make it an ideal venue for important meetings and conferences away from the hustle and bustle of the normal office. The well-equipped facilities makes it the right choice for every kind of corporate occasion, from intimate top executive brain-storming to benchmark occasions and launching new products or uninterrupted training sessions. Rosebank caters for a variety of conferences including Training sessions, Product Launches, Corporate Meetings, Workshops and normal business conferences. Venues exist for groups from 10 to 250 and for more information about Rooms available, see “Facilities”. We have full catering facilities and we are able to provide you with all the audio-visual aids for your conference. WiFi facilities available. To discuss your conference requirements, please contact us on 03-323 7353 (or 323 9314 if experiencing difficulties) or email us on bookings@rosebank.co. Should you wish to relax at the completion of your conference day we are pleased to offer dinner facilities or Canapès as well as a fully licensed bar in a beautiful and relaxed French Provincial winery setting. Motel accommodation is available at the adjoining Chardonnay Motel (http://www.chardonnaymotorlodge.co.nz) or 219-on-Johns Motel & Holiday Accommodation across the road from Rosebank (http://www.219onjohns.co.nz). These motels are operated independently from Rosebank.